The goals of brushing your teeth are to prevent soft plaque from forming hard plaque on your teeth and to promote soft tissue circulation. To accomplish these goal, most dentists recommend that you brush your teeth several times a day and floss. The problem comes in when considering whether electric toothbrushes or manual toothbrushes are better at keeping your teeth pristine. To really understand which type of toothbrush is best, you need to understand what plaque is. It's a sticky film that attaches to the surface of your teeth. Plaque forms inside of your mouth as a byproduct of the Streptococcus mutans bacteria. It starts out as a sticky film that is soft and can be removed by something as soft as the bristles of a brush. It then forms a hard type of tissue that glues itself to the surface of your teeth. In case you're wondering why that name looks vaguely familiar, it's because the strand of bacteria that is responsible for causing plaque in your mouth is a relative of the same bacteria that causes strep throat. 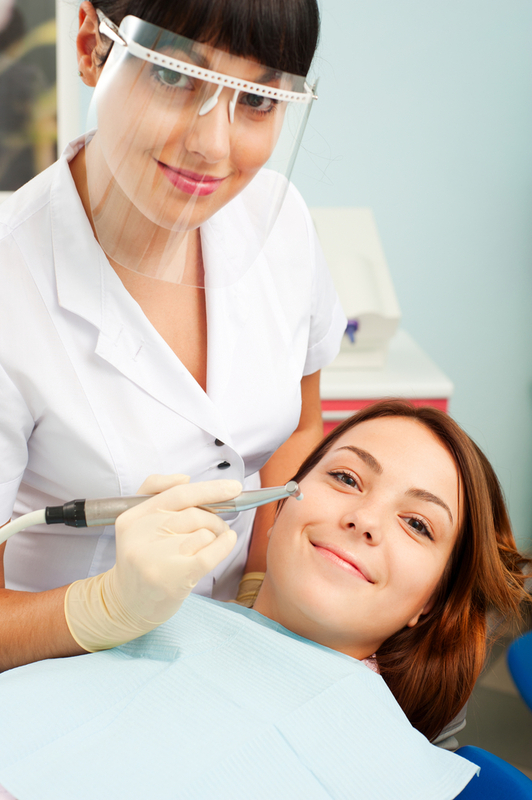 Both dentists and doctors use nitrous oxide as an anesthetic because it offers them and their patients many benefits. The gas, known commonly as laughing gas, has been in use since 1844 and continues to be used safely today. The following benefits makes nitrous oxide useful in dentistry. Reduces Anxiety Perhaps the greatest benefit is that it helps patients relax without putting them to sleep. Patients remain conscious during the procedure and even have the ability to communicate with the dentist. However, many patients have little or no memory of what happened during the procedure. This allows the dentist to perform a procedure in less time, and it also allows the patient avoid discomfort during the procedure. The gas also gives patients a happy feeling that helps them relax even more. Increases Pain Threshold Nitrous oxide increases a patient's threshold for pain. While it is only good for mild pain control, the gas often provides enough relief for noninvasive procedures. This helps reduce the need for dentists to provide local anesthesia. Some patients who have difficulty getting numb using local anesthetics benefit greatly from this property. Dental Work: Should You Get a Second Opinion? Not paying proper attention to proper oral hygiene leads to cavities, and if those cavities go untreated, the middle of your tooth known as the pulp can become infected. Pulp disease is painful and dangerous, and it requires treatment. It can easily turn into an oral infection. A sign of pulp disease is pain when eating sweet, hot or cold foods and drinks. Pulp disease can be reversible or irreversible. Reversible pulp disease Inflamed tooth pulp can become infected and become abscessed. These infections are usually treated with antibiotics and fillings. A cracked or broken tooth can also result infections or abscesses. Irreversible pulp disease This is very painful pulp inflammation, and there's no cure for it. It's dangerous because if the condition goes untreated, it can spread to the gums and other tissues. It's ordinarily treated with a root canal because the tooth's root becomes infected. The pulp of the tooth is removed and replaced. If the root canal can't be performed, the tooth itself has to be removed.